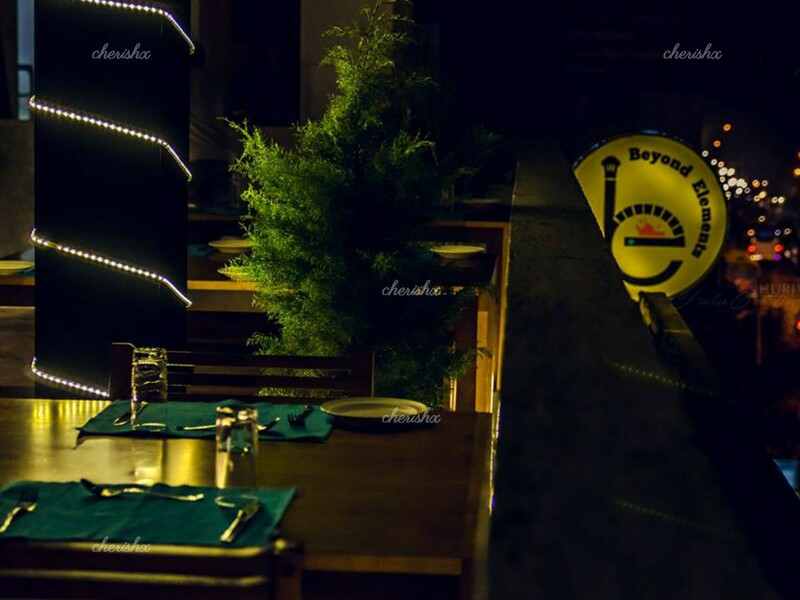 What better way to enjoy an evening with your love over a 3 course hugely popular North Indian dinner! The menu also has some continental options of which the whole wheat wood fired Pizzas are specialities. All this a very attractive price! 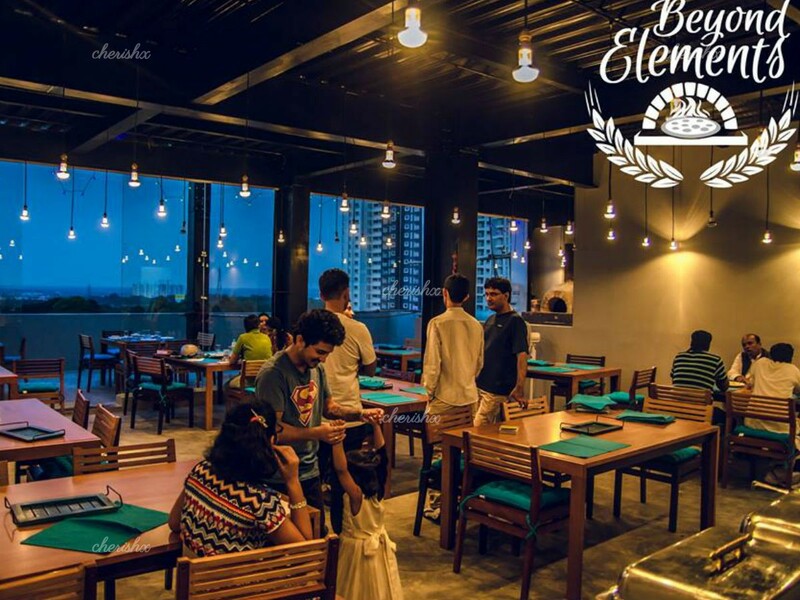 Your venue is a quaint rooftop restaurant - Beyond Elements - is located ITPL main road, half-way between ITPL and Hope farm junction. 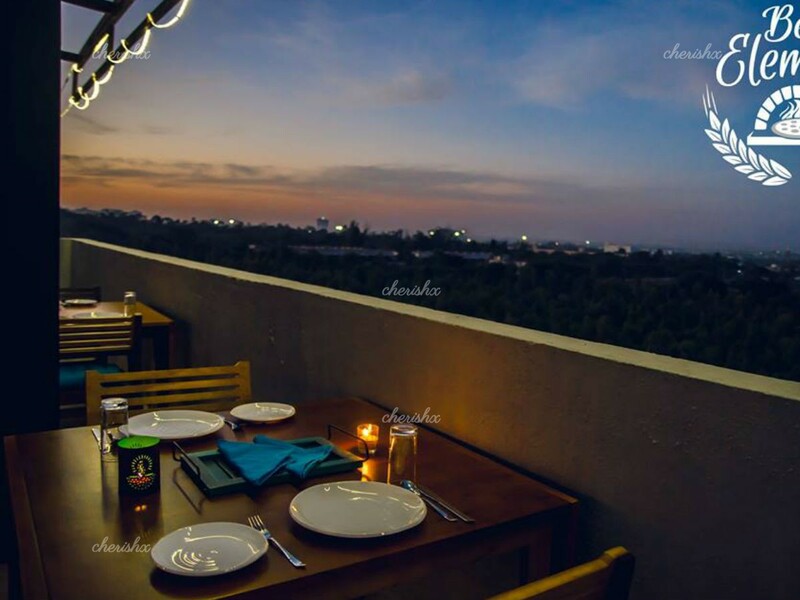 The rooftop has a nice view of green belt toward the north of ITPL main road. 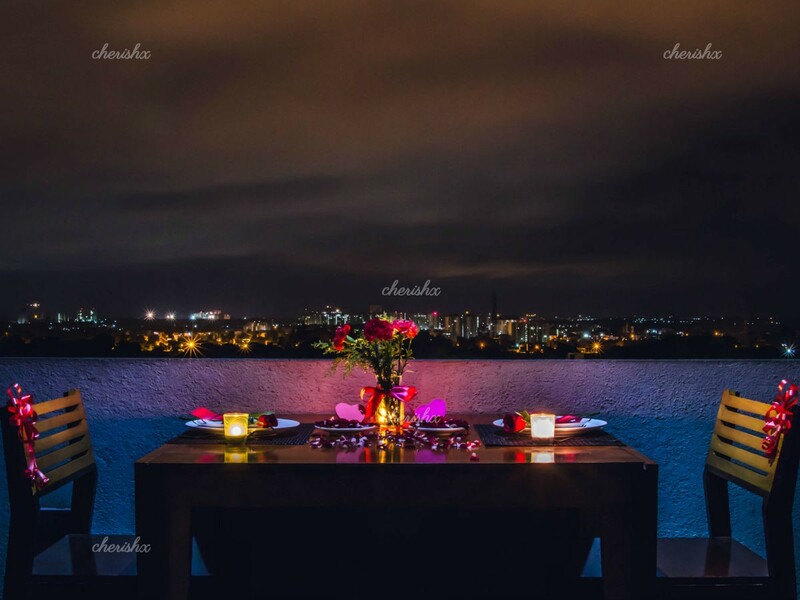 At the venue, let the staff / manager know you have arrived, and they will walk you to your reserved dinner table, done up with light decoration of candle and flowers. First up are your welcome mocktails, then comes your 3 course vegetarian meal, where you can choose 2 starters, 2 mains and 2 desserts from the menu. The food here has a healthy twist. Whole wheat flour is used for the pizzas, pastas and rotis. No preservatives, no added colors, all food prepared fresh. And when it comes to desserts there is option of low fat ice creams too. If you prefer “jain food” preparation then can also be arranged. If you want to add finer details like cake, flower bouquet, private guitarist, you can within a few clicks organise those on the next screen for your special someone.